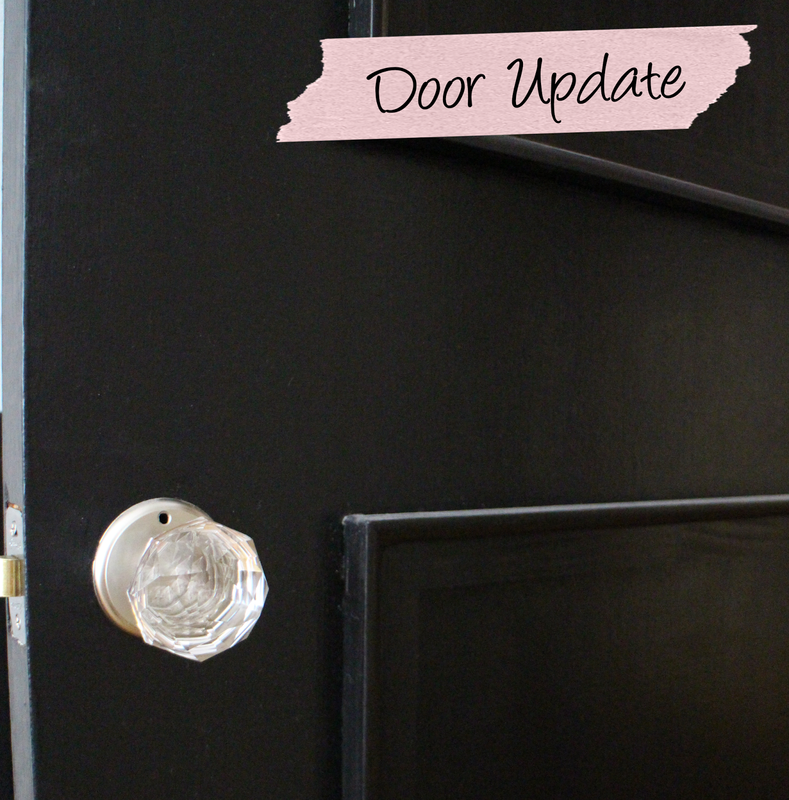 Finishing up my week of bedroom updates, I am excited to share with you my faux paneled doors. This is a great project because it can be tackled in one day, doesn't require any power tools, and makes a BIG DIFFERENCE. 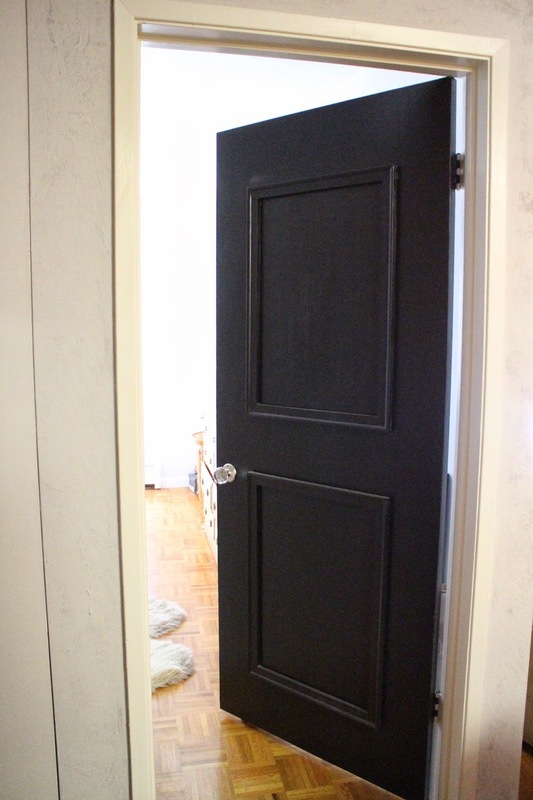 This is a door hack that you may have seen floating around the internets, and this is my (cheaper) take. Here's the full pic of the finished door. I splurged on some crystal door knobs from Amazon because we only have two interior doors in the whole house. The panels have now held up for 10+ months. OK, next week I promise to get back to some clothes-making. It's so nice to have all this stuff out of the way so I can get back to sewing! The door looks fantastic!!! What size frames did you use, and paint color? Thanks! Each frame is 20”x28” and I think we just used a regular old black semi-gloss paint from sherwin williams.